Each of FREE’s Day Services programs offers a unique experience geared toward the specific goals of our individuals. All programs are designed to ensure self-determined choices, foster independence, productivity and individual development in safe, respectful and secure environments. Designed to assist individuals to acquire, retain, and improve their socialization and adaptive skills, including communication, travel, and other areas in adult education. Activities and environments are designed to foster the development of skills and greater independence, community inclusion, relationship building, self-advocacy, and informed choice. Additionally, opportunities range from self-identified recreation activities for skills development, including music and art, health and well being, work readiness, meaningful activities, and a multitude of community-based experiences and olunteer opportunities. The Theater Day Habilitation and Prevocational Program focuses on skills development related to the theater arts, including socialization, communication, singing, music, dance, production and backstage development, community performances, and self-determined areas of interest within the visual arts spectrum. Offers an exciting alternative to center-based programs. Participants take part in a variety of volunteer, recreational, and social experiences based upon preferences and self-identified areas of skill development. Similar to day habilitation, each participant has a Habilitation Plan that details desired outcomes, which are translated into program services. Fancy Free is a gift shop that provides opportunities for people of all abilities to actively contribute their skills and talents to their community. All products sold at Fancy FREE are adorned with beautiful and unique artwork produced by members of FREE’s art programs. When working at our kiosk, individuals can build their vocational work experience, and later move on to community-based jobs. Above all, Fancy Free promotes and increases visibility and awareness in the community while serving as a public platform to educate and advocate for FREE’s mission to help individuals of all abilities realize their full potential. Offers day habilitation, prevocational, and other programs at Saddle Rock Ranch, a beautiful 14-and-a-half-acre property in Middle Island. Individuals react positively when an animal is involved; and relationships formed with horses can lead to increased confidence, patience and self-esteem. After-school respite offers school-aged children and adults with developmental disabilities opportunities for recreation and socialization while receiving support and supervision from trained staff. In most cases, school children can be transported by bus from their schools to this program. 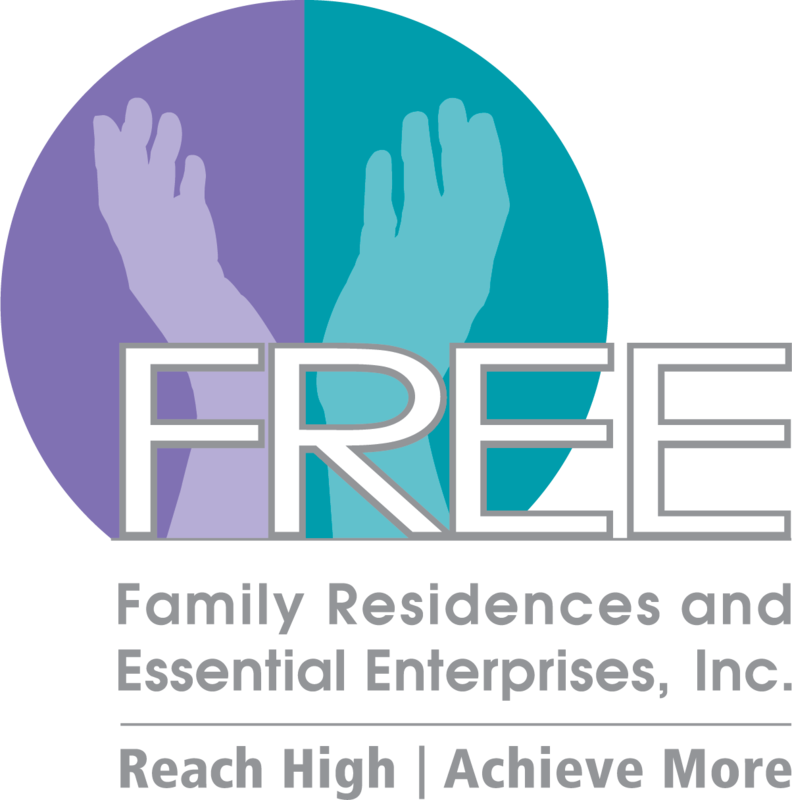 FREE also operates specialty, weekend and evening respite programs in Nassau and Suffolk Counties, which offer socialization and recreational activities for individuals with developmental disabilities. The programs also specialize in working with children and adults who have autism. The Fine Art and Art Therapy Program, develops a person’s creative and artistic desires to create beautiful pieces of gallery themed artwork. The artwork is professionally framed and displayed in exhibits throughout Long Island. This opportunity strengthens an individual’s self-esteem, communication, socialization, and the ability to connect with others in the community. Each piece created is for sale by the artist. The FREE Players Drum Corps was founded in 2010 and is one of the very first Special Needs Drum Corps to exist in the world. By performing in the community, the Drum Corps is helping to dissolve boundaries and educate the community on the abilities of individuals with disabilities, rather than focusing on their differences. The program fosters and promotes independence, productivity, and individual development in a fun, creative environment.